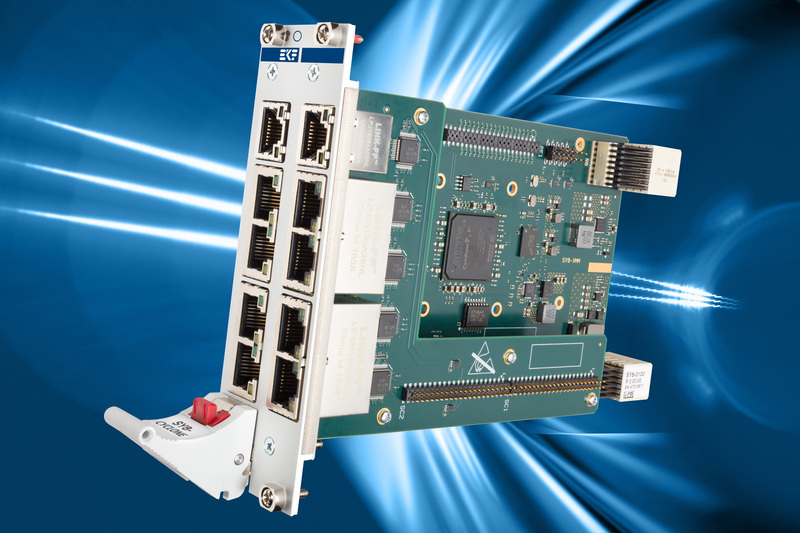 The SY8-CYCLONE is a CompactPCI© Serial peripheral board, equipped with a powerful FPGA, and up to ten RJ45 connectors for 100BASE-TX Ethernet. With its PCI Express© x4 interface, the Cyclone©-V FPGA can be used e.g. as Ethernet NIC, switch, router, or gateway. 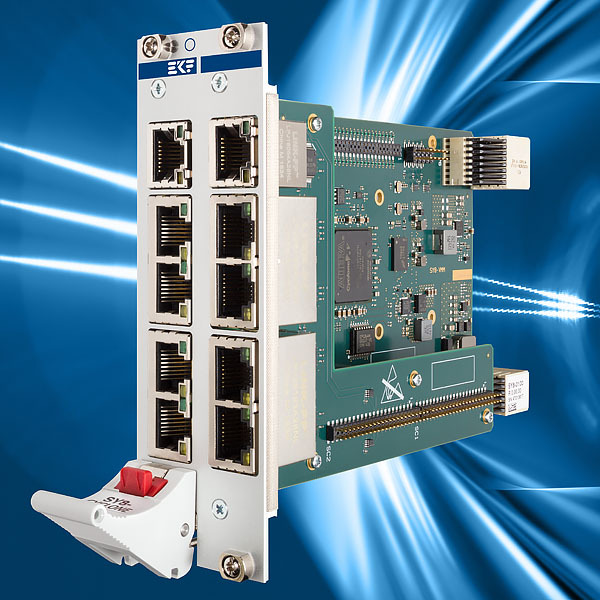 Industrial Ethernet real time protocols and custom specific applications may be integrated. As a 4HP front panel width solution the SY8-CYCLONE provides five RJ45 connectors. As an option, the board is available with ten Ethernet ports in a 8HP width front panel. A reference design based on Quartus© is available as starting point for customers. The Intel© (formerly Altera) 5CGXFC7C6F23I7N Cyclone©-V FPGA operates over the industrial temperature range and contains 150K logic elements, and also hard IP for the PCIe Express© controller. In addition to non-volatile I2C memory, 512MB DDR3L soldered RAM is wired on-board to the Cyclone©-V FPGA. As an option, the SY8-CYCLONE card can accommodate a mezzanine module with a secondary identical FPGA. This would allow either safety critical applications by redundancy, or additional logic elements for custom specific solutions.